Mega Sale! 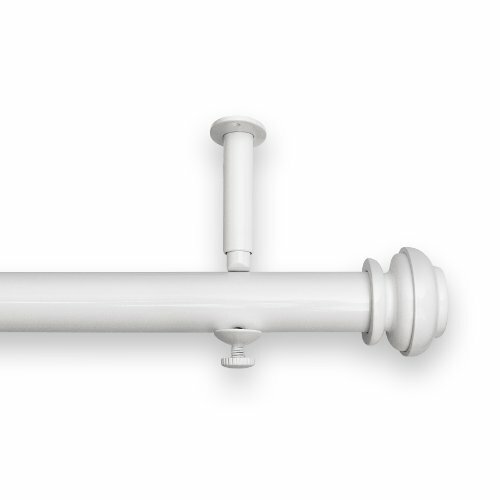 Save 30% on the Source Global Bold Pole Adjustable Curtain Rod Set, 28-Inch to 48-Inch, White by Source Global at Delta Everett. MPN: BP100. Hurry! Limited time offer. Offer valid only while supplies last. Bold Pole is a 3-piece all metal rod set. The 2 side rods extend from the center rod giving a symmetrical, balanced , custom look to your window. Bold Pole is a 3-piece all metal rod set. The 2 side rods extend from the center rod giving a symmetrical, balanced , custom look to your window. Rods are 1-1/4-inch diameter. If you have any questions about this product by Source Global, contact us by completing and submitting the form below. If you are looking for a specif part number, please include it with your message.